Conditions can change rapidly in a severe storm. That’s why it’s important to have an emergency go-bag put together in advance. Emergency kits let you leave in a hurry with some peace of mind and can save time when it counts the most. 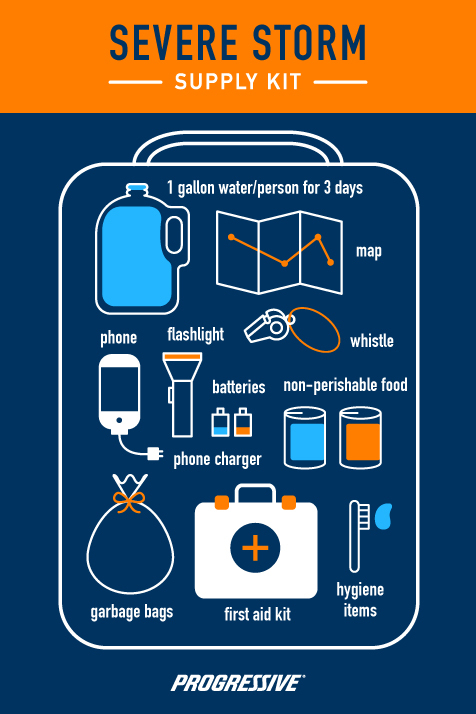 Be prepared when severe weather strikes with our emergency supply kit list.